Meet the Deputy Editor of Interior Design Magazine! Next week, we have a special opportunity to meet Deputy Editor Annie Block of Interior Design Magazine! 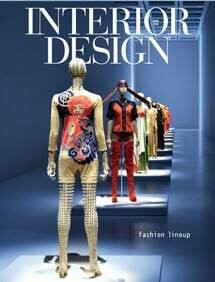 Annie will meet with students, take questions, and talk about the current state of interior design and publishing. See below for her bio. This event will be in the Fishbowl (1st Floor Conference Room at 320 Newbury). Please RSVP so you are assured of a place! As deputy editor, Annie Block works with the editor in chief to oversee the content and direction of the monthly magazine, the biannual Homes issue, and the website, interiordesign.net. Ms. Block previously worked as an editor at Martha Stewart Living Omnimedia. Her writing has appeared in The New York Times, The Miami Herald, and Travel + Leisure. Based in New York City, Ms. Block is a frequent design juror, moderator, and lecturer, and is a board member of Rebuilding Together.